$120 Flat Rate Bee Removal is Offred Mon-Fri during normal business hours. Weekends, Holidays, Emergency, and After-Hours Rates Will Vary. A Trip Charge May Apply For Areas Outside of the City. What Does Flat Rate Bee Control Include? 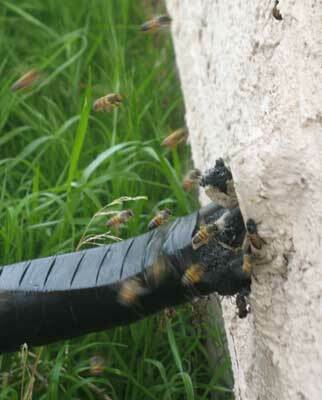 Flat rate bee removal and control with a service guarantee. 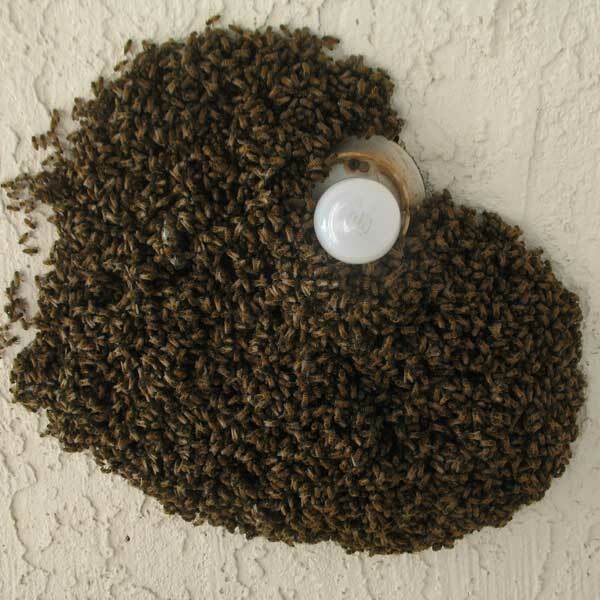 This includes the treatment or removal of a single bee swarm or hive with a 30-day guarantee. After the service, our skilled technician will then give their professional advice as to what should be done next. If Honeycomb removal and repair is necessary we will give you a free estimate as to the cost of the honeycomb cut-out and repair. Flat rate bee removal service is offered for everything from bees in eaves of homes, valve boxes, sheds, walls, roofs, columns, and a lot more. We are licensed, insured and certified by the state of Arizona and the Department of Agriculture. We are highly experienced in all phases of bee removal and only use the safest products in pest control and bee removal available today. This combined with the approach and techniques we use enable us to offer our bee removal service at such a low rate. We do not work on commission so there is no reason for inflated pricing. 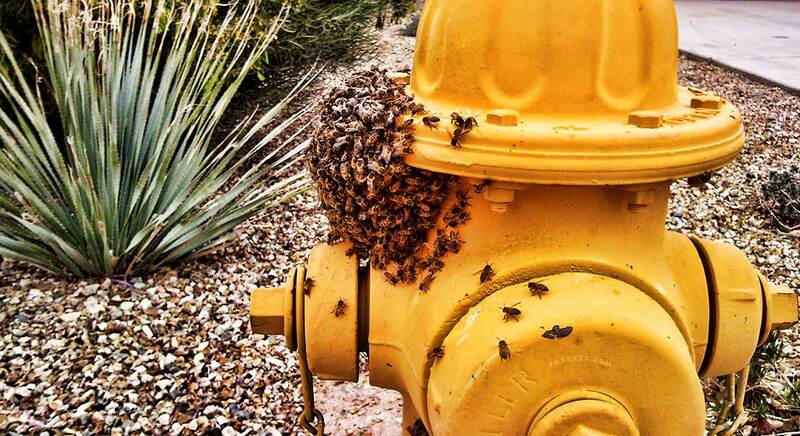 Phoenix bee removal is locally owned and owner operated. We hold contracts with everything from schools, churches, stores, and cities for bees removal and pest control service. You won't hear any goofy scare tactics or strong a sales pitch. We depend on a strong customer base for referrals and take pride in the work we provide. Our main concern is keeping you and your family, customers, neighbors, and tenants safe while providing a clean efficient service. Providing affordable safe effective bee removal services is what we are all about. There is no job to big or small that Phoenix Bee Removal can't handle. All of the bee removal services we provide come with a guarantee you can count on. We take pride in the work we do and depend on customer referrals to continue to grow. We make sure each job we take on is handled in the safest most effective way possible. Every Bee problem is unique and bees always seem to choose the most difficult spots on homes to create their beehive. We are skilled in every level of bee and honeycomb removal and there is not much we haven't seen or done when it comes to removing bees. We also do all of our own repairs from roofs, stucco, drywall, and more. 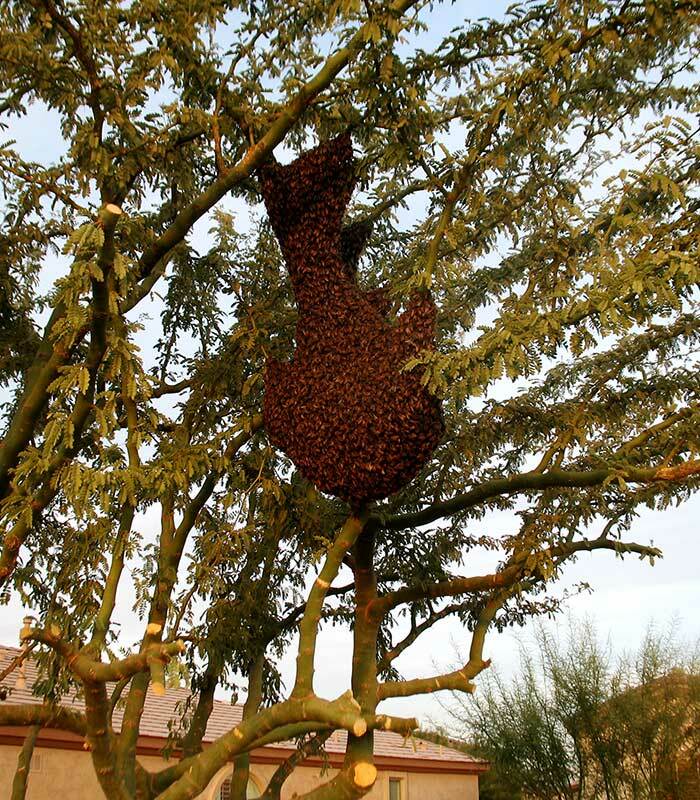 Phoenix Bee Removal is your one-stop shop for bee removal and honeycomb cutouts. What is included in the flat rate bee removal? 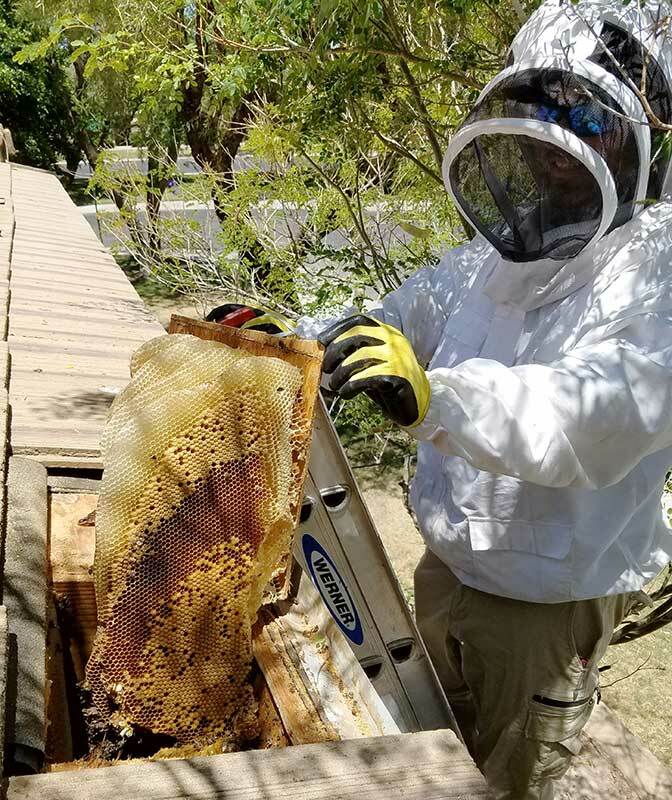 Phoenix Bee Removal is locally owned and operated and proudly leading the Phoenix Metro Area in Bee Removal for over a decade. The experience we have in removing bees and honeycomb is uncontested by any other company in Arizona. We take extreme pride in the work we do and the repairs we make. 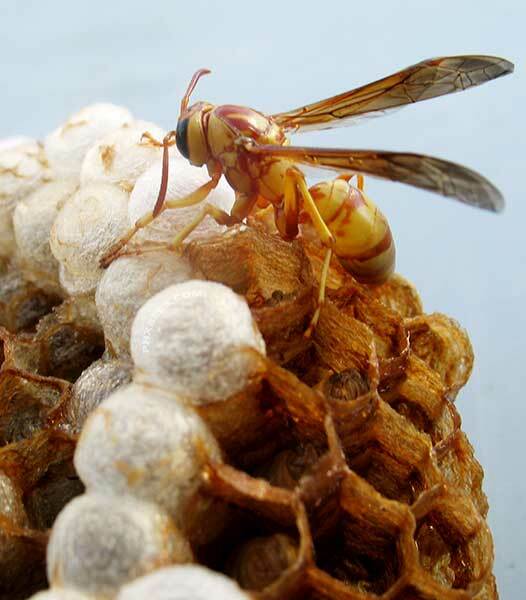 We have experience in all phases of bee and honeycomb removal. The tools and custom equipment we use is exclusive to us and most of it made by us. 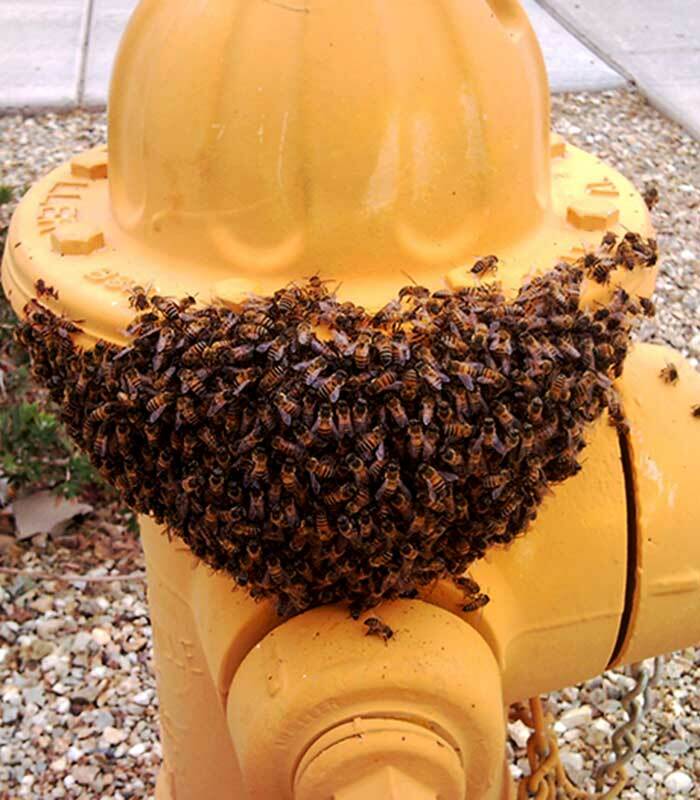 With this specialty equipment, we can provide the safest and cleanest bee removal in Phoenix. Our prices for bee removal and honeycomb cut-out and repair are far lower than most of our competitors. This is mainly due to the fact that most bee removal companies overcharge by quite a bit. These high prices are what drove us to start this company over a decade ago. We couldn't just stand by while people were being taken advantage of. So we started Phoenix Bee Removal and offered low flat rates for the services we offer and the rest is history. Always remember when paying for a service that you are in fact actually paying for a skilled service and not a product.